The 2nd post in this thread has all the details. If you need to update or add anything to that post, please PM EverettB with the information and I will update it. Or post in this thread. Hopefully we can stop most of the middle seat questions, and help some Bus people out. 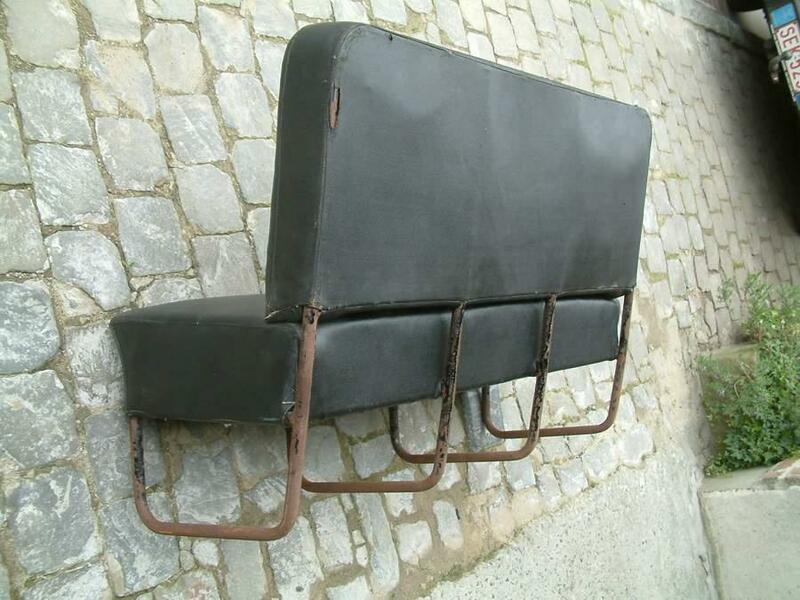 due to the upholstery combination and the physical characteristics of the frame and springs. information comes in. this is most of the picture though. aluminum grab bar attached to the back of the seat '50-'51? 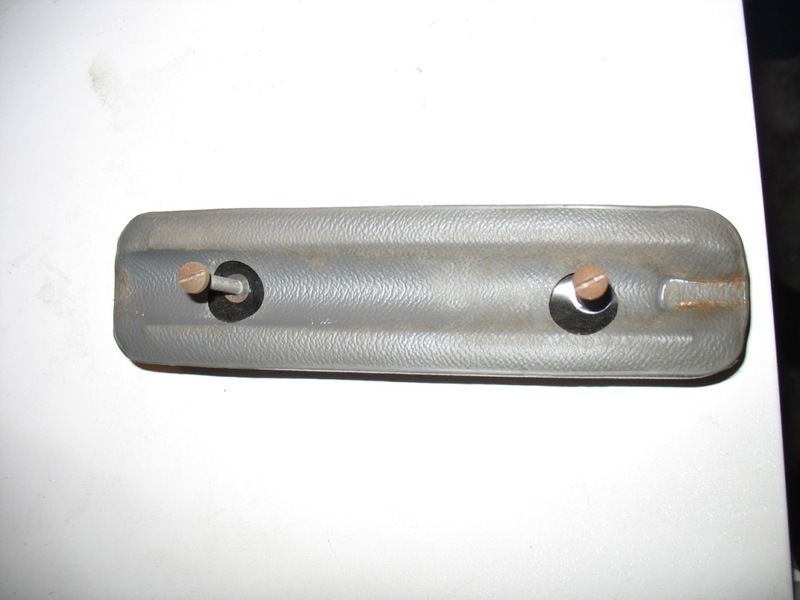 grab bars are same styles/years as for full seats. 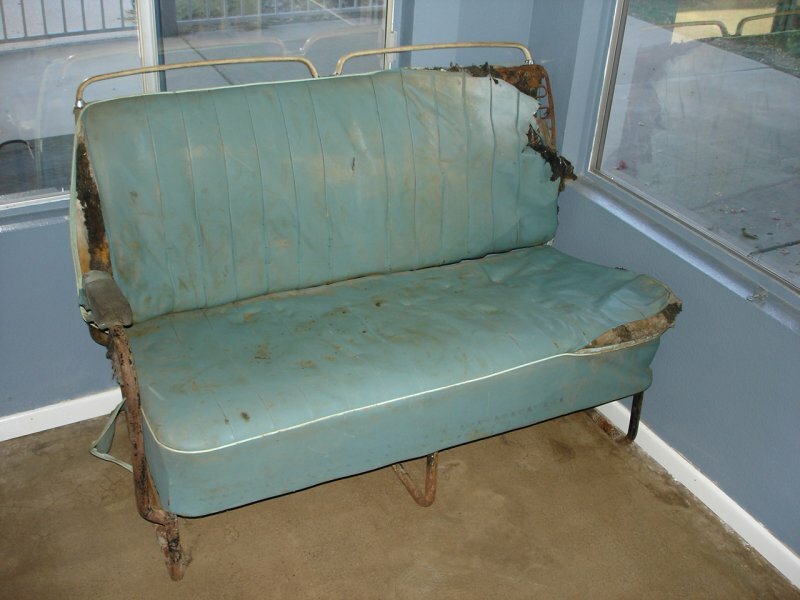 prior to 1959 2/3 seats are very very rare. 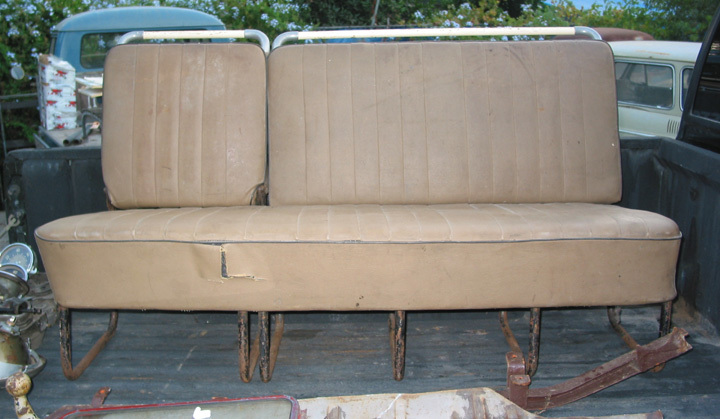 '59-'66, the frame and springs are the same. 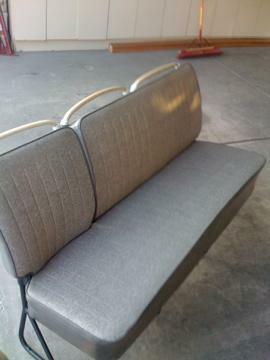 '52?-'66 the armrest bar is attatched at two points. 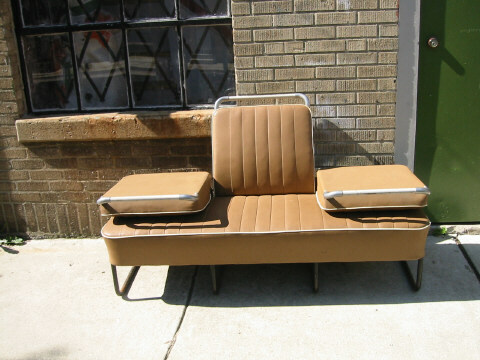 '67+, the passenger side leg was located closer to the center giving it a slight overhang. '67+ diagonal support inside legs. 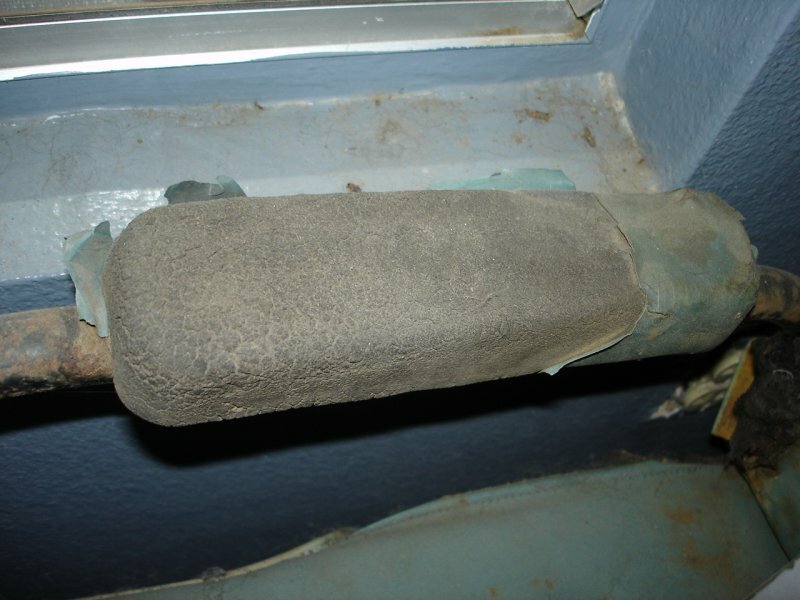 '67-'68 the armrest bar comes from the back and dead ends. 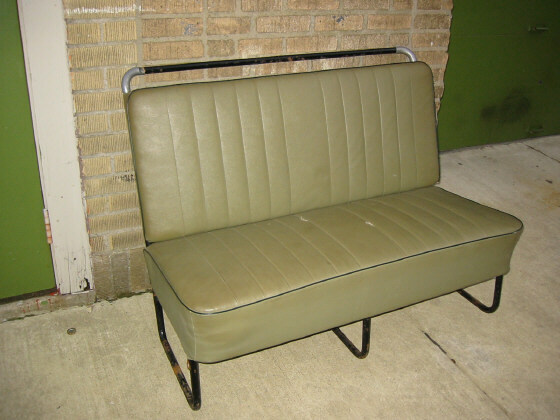 '69-'79 the armrest bar comes from the front and dead ends. 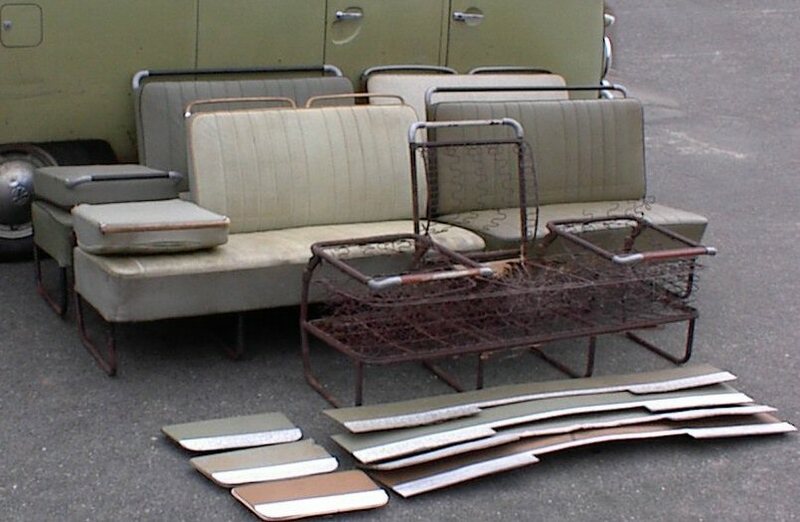 to become a '67 seat. '51? through '58 have the snowflake pattern in the aluminum trim. 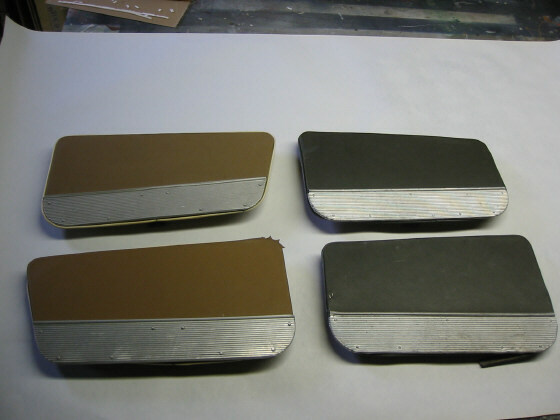 '58 through '67 have the lined pattern in the aluminum trim. this would indicate that the snowflake pattern extended into the '59 model year. were pressed board. I think the cutoff was sometime in '56. anyone know a closer date? 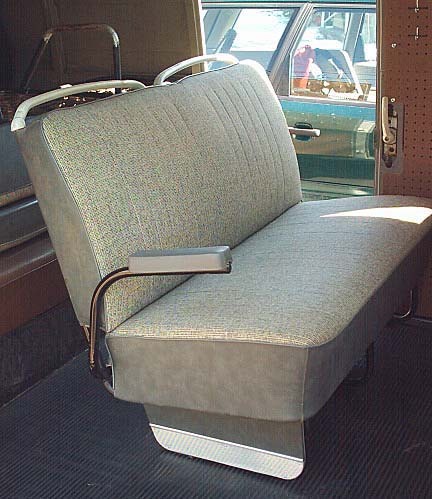 any '56 buses out there with their original seat kick panels? '64-'67 has a different shape. '67 has a unique set of clip locations due to the diagonal support bar. 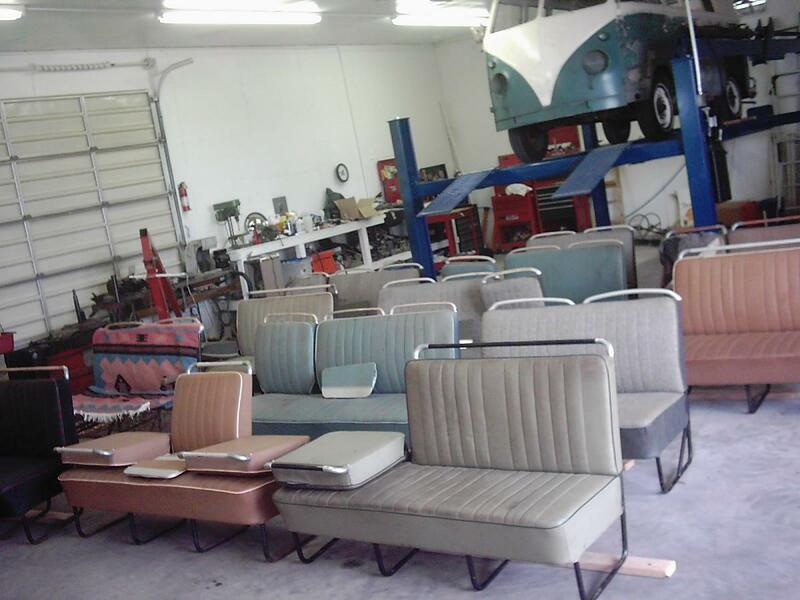 '67 panels will fit onto '64-'66 seats, but '64-'67 panels will not fit onto '67 seats. 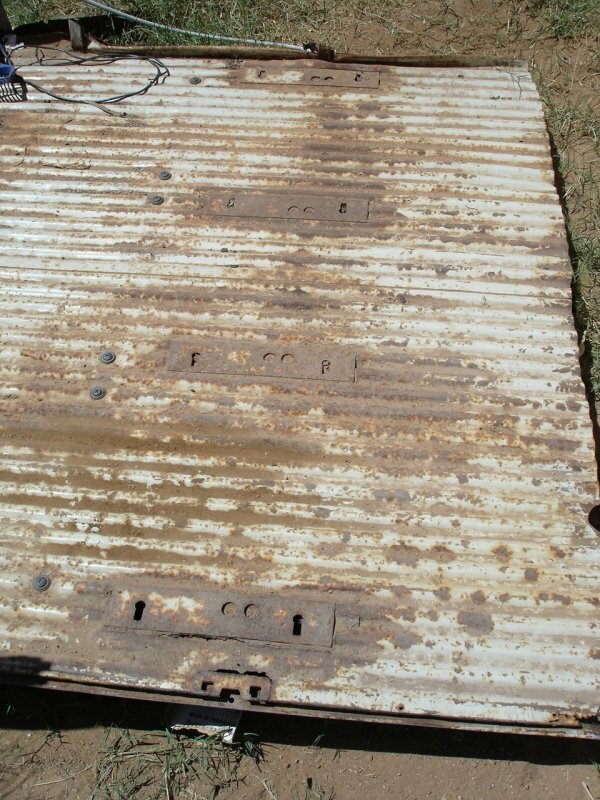 Barndoors used just a T bolt with nut and clamp. 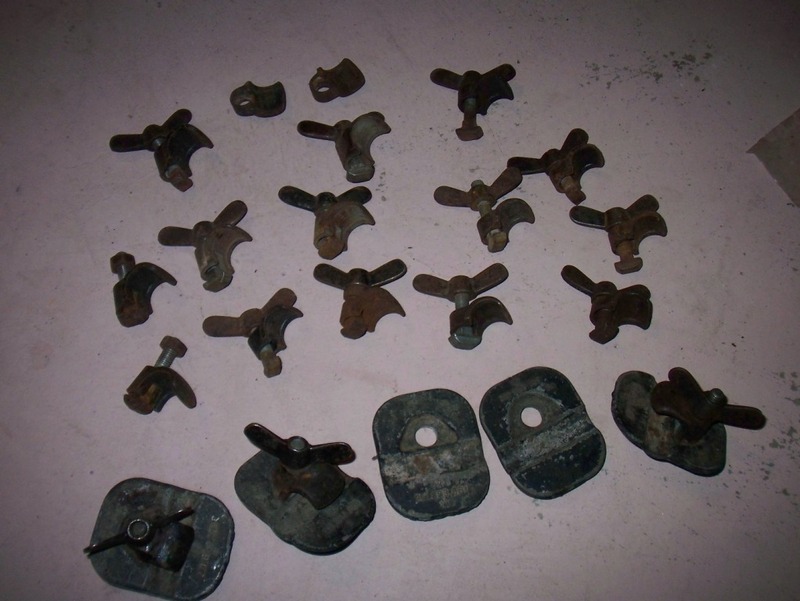 Post barndoors also used base plates as well as the T bolt with nut and clamp. 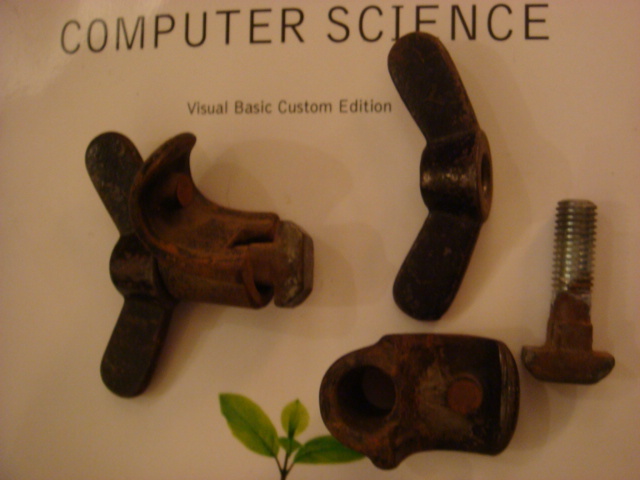 The nut is a 17mm nut for Microbuses and a wingnut for Kombis. 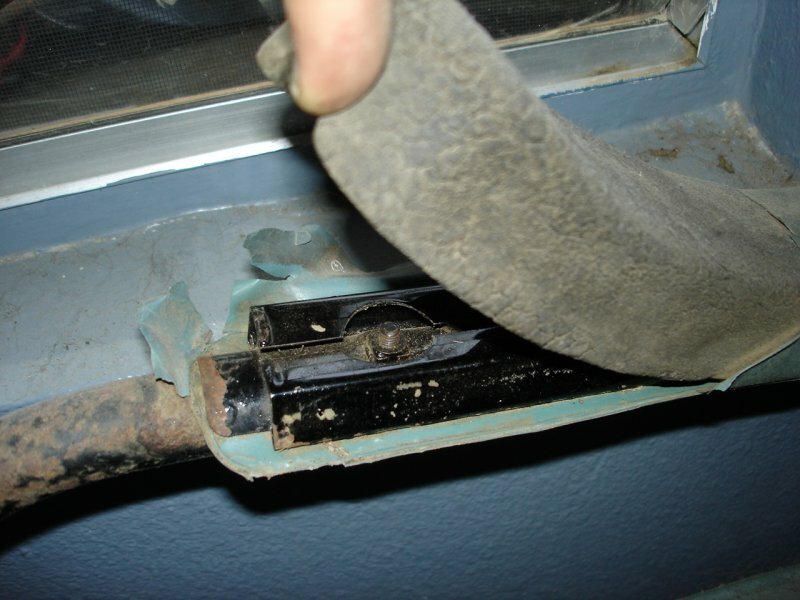 The clamp has a smooth inside of the arch '50-'66. 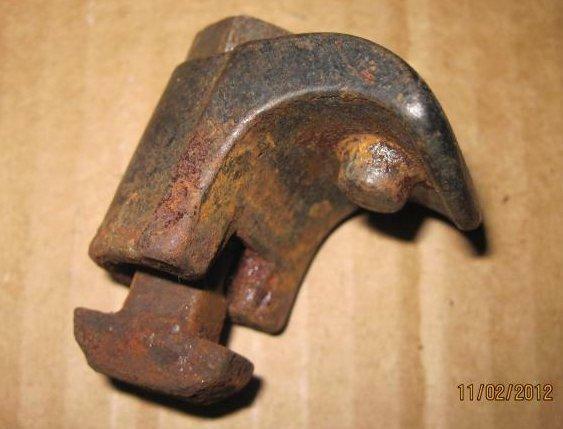 The clamp has a nub inside of the arch '67-'79. 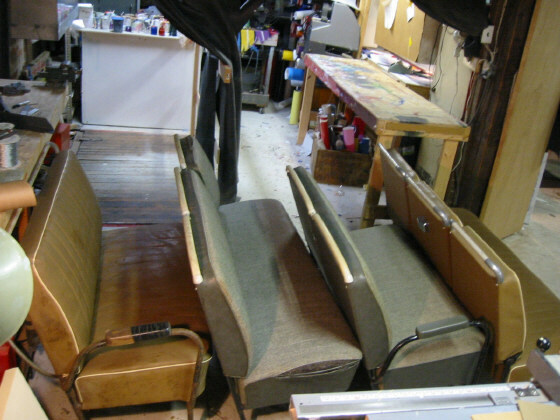 The tall clamps are for middle seats. The short clamps are for rear seats. 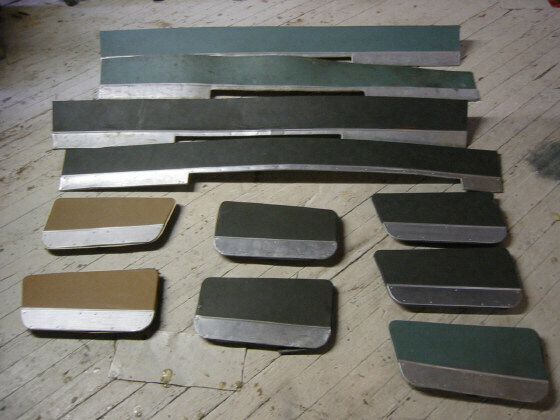 The plates are cast aluminum until at least '64 and pressed steel from at least '66. 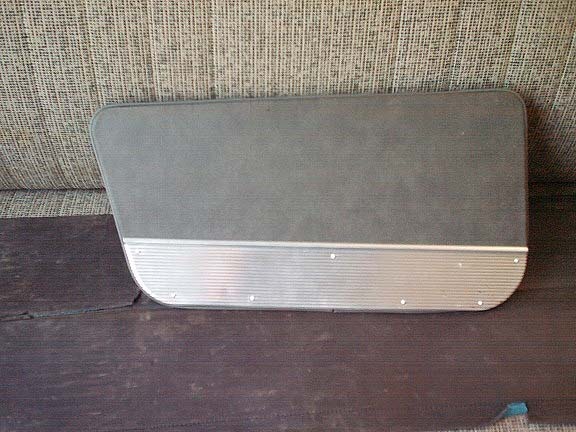 Does anyone have original-to-the-Bus base plates for a '65 Bus that can state the style? thanks to all who have posted pics in the gallery. 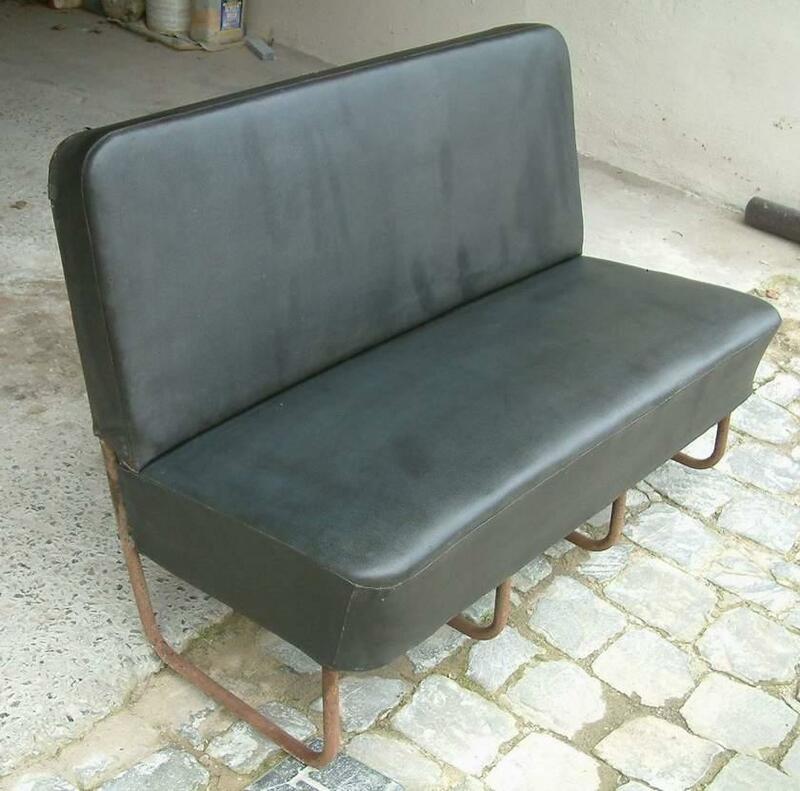 '56-'57 black kombi full seat. 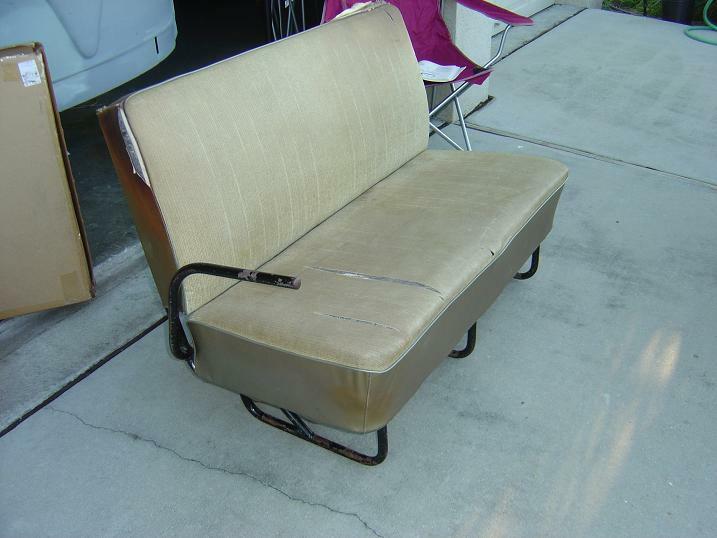 '66 mesh platinum full seat. 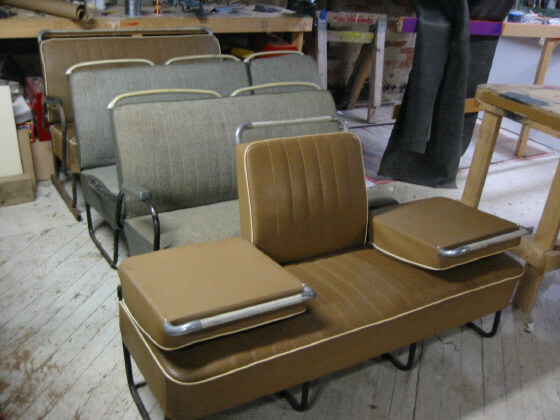 '66 aero papyrus full seat. 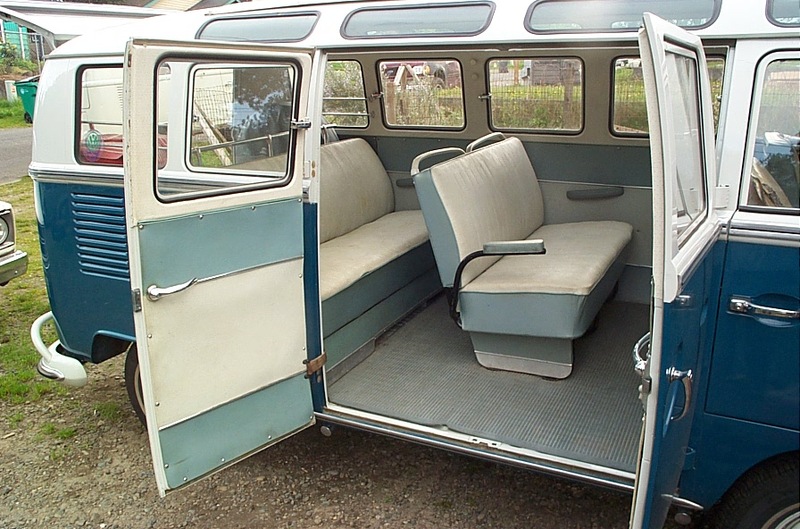 '59-'61 kombi with double flipper. '59-mid'61 caramel brown double flipper. mid '61-'63 como green double flipper. 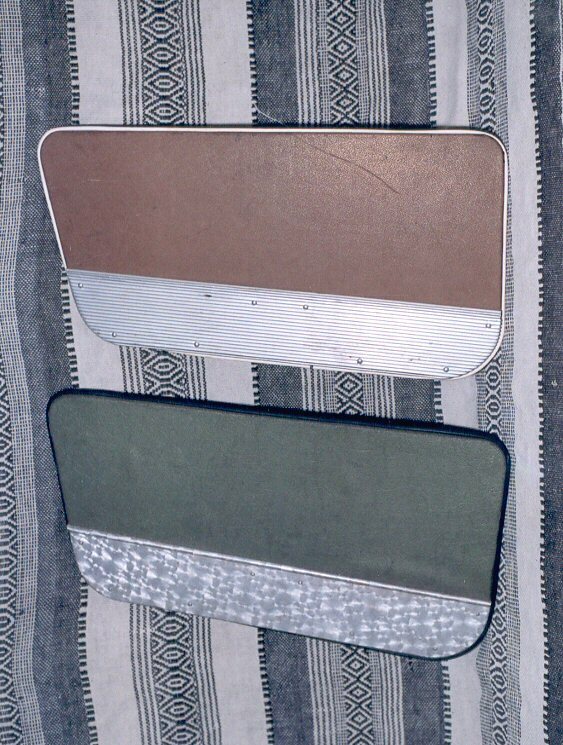 '59-mid'61 caramel brown full seat panel and a '55-'58 soft green full seat panel. 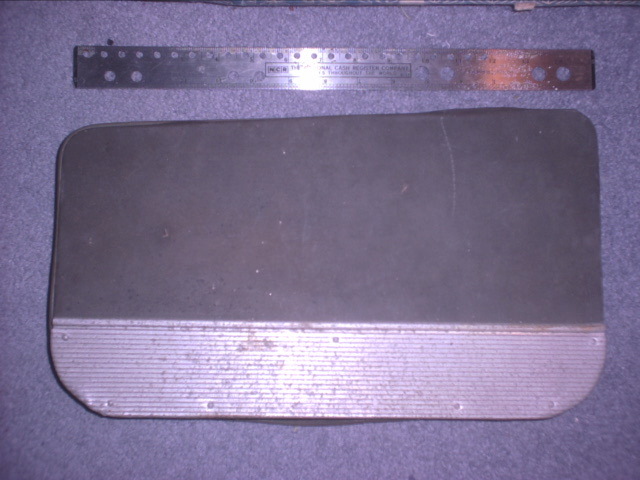 comparison between '51-'63 full seat kick panel (top) and a '51-'66 2/3 seat kick panel. 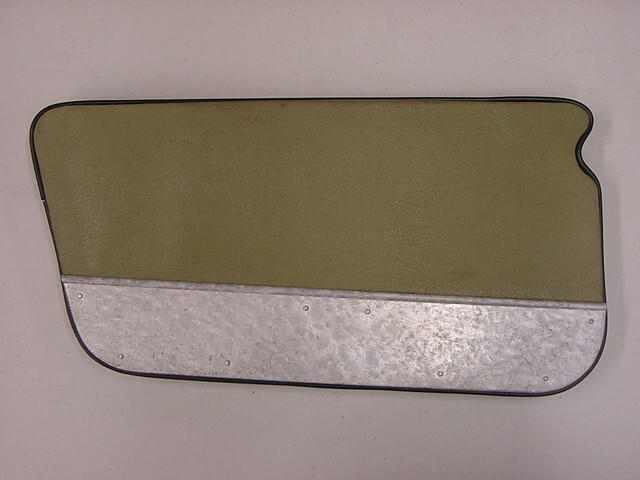 shape for a '64-'67 full seat kick panel. mirror image kick panels are for the other side on doubledoor buses. Tricky mounting tips. Like I have a 69 middle and I want to mount it in my 64 Sundial, but use the original mount cut-outs. 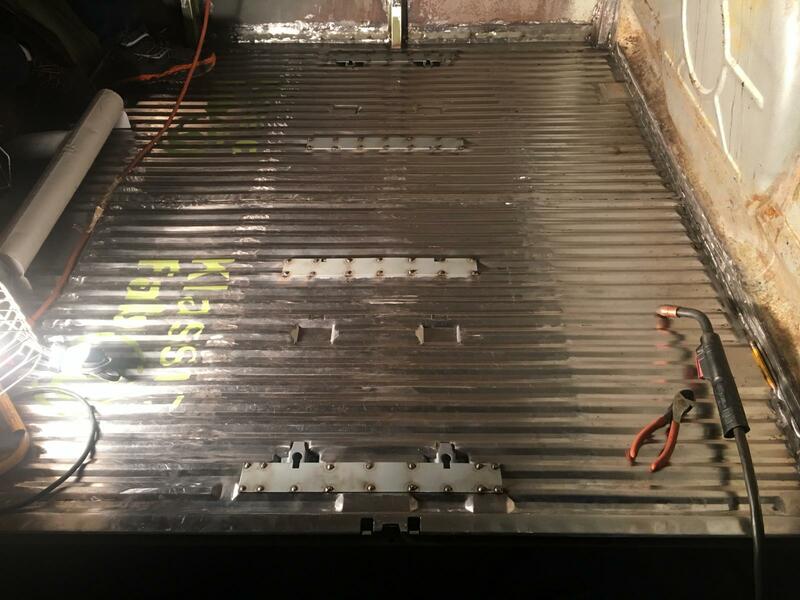 So a guy suggested welding the mounts in the original cut-outs, and then welding an adapter to the middle seat legs, so that you have the flexibility to install a real middle seat if one appears out of thin air. 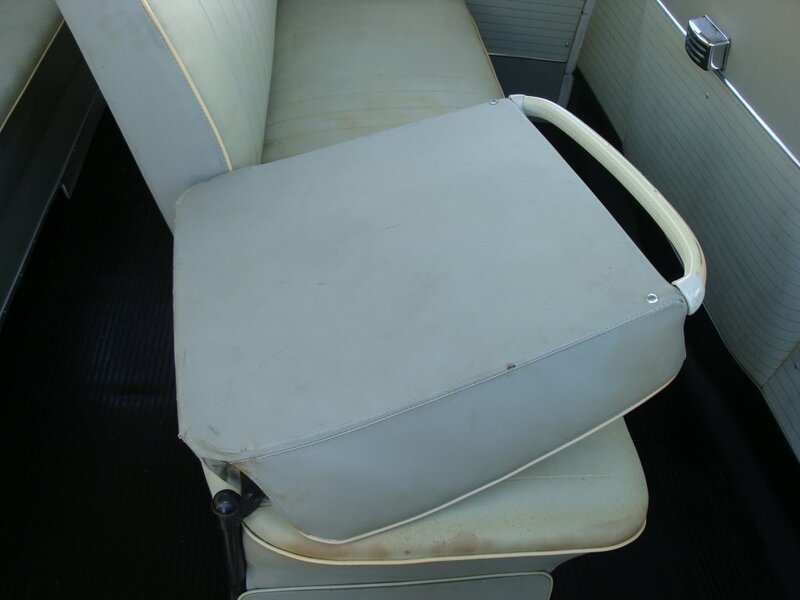 Also, there's lots of banter about middle seatbelt mounting tactics. I have not reached that point yet. What weirdness? This doesn't even register on the weird-o-meter. 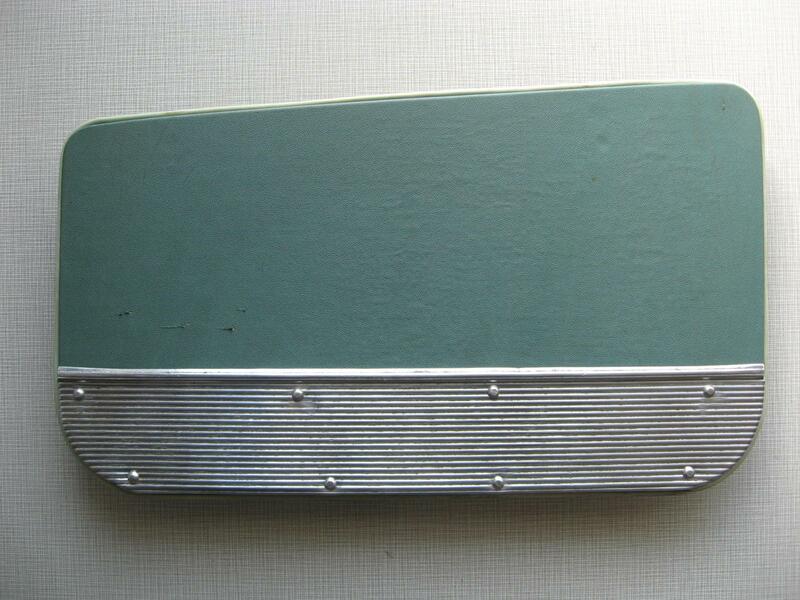 The earlier kick panels had "snowflake" pattern trim, later ones had the ribbed trim. I am not in the know about year breaks for these parts, others may chime in. 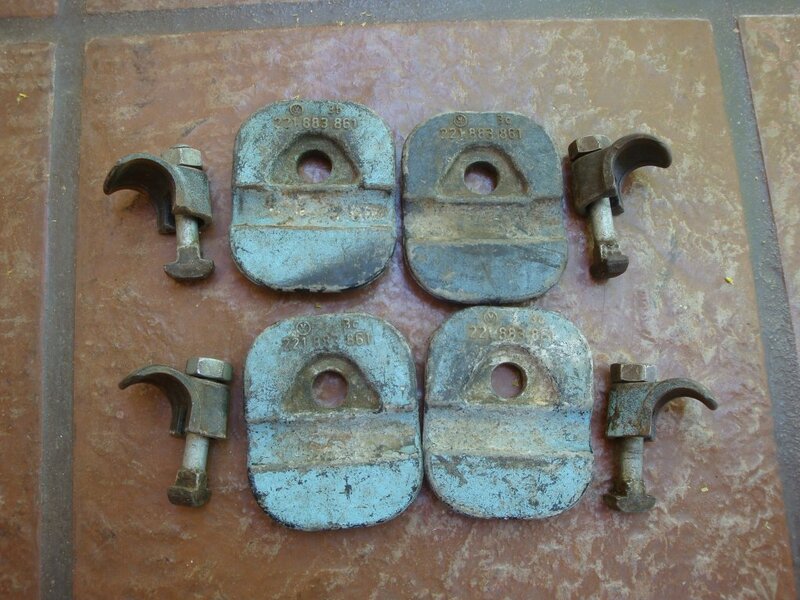 The middle two look like late '66 to '67 because of the notch, I think. Someone like Lind needs to give us the real skinny. i wish more people would actually drive their vws rather than just talking about what they have in the garage. 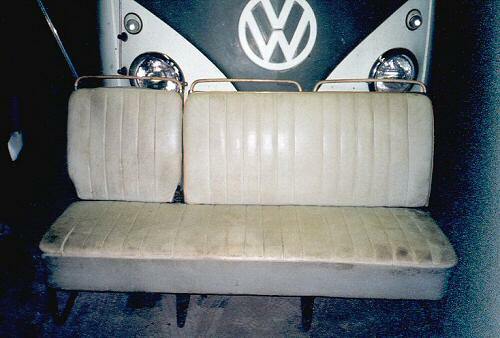 If you've seen one sunroof swivel seat kombi, you've seen them all! snowflake ('51?-'58?) 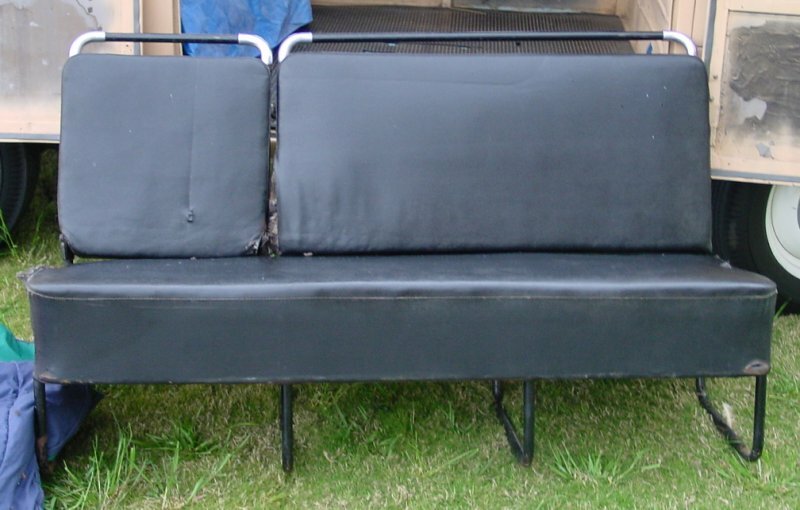 panel with black upholstery which is barndoor deluxe. 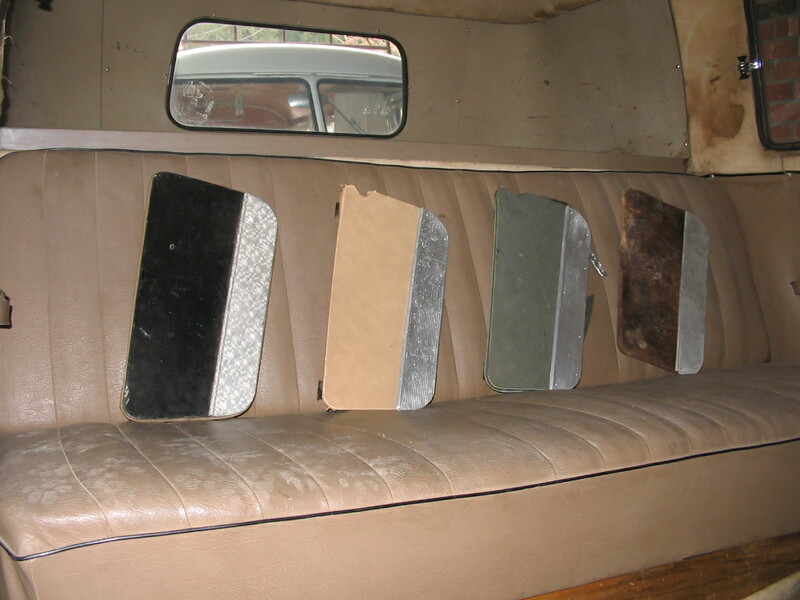 '64-'66 or '67 only full seat panel with bad upholstery. I am putting the year breaks/changes in my earlier post near the top of this topic. not %100 middle seat - but I have conficting information/experience about heat seams. I have seen both 64's w/o heat seams & 63's w/ heat seams. 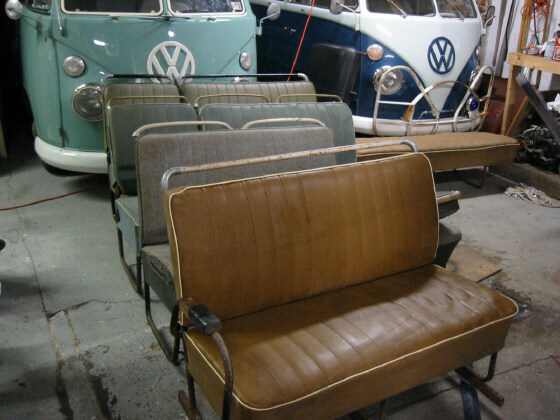 To the best of my knowledge the seats were original to said buses. Any comments? While the rest of the bus market falls flat on it's face, it's nice to see the Jersey Looker market staying Jersey Strong. “Investing” and “ old car”are mutually exclusive. Lind - could you also address the 58 only middle seat issue as well? 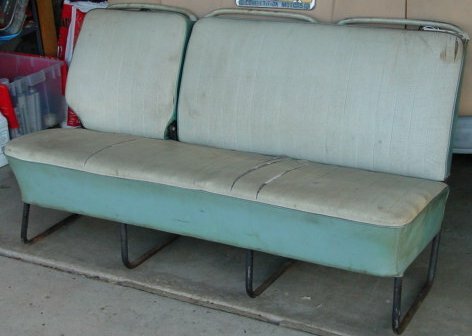 the '58 only seats are that one year only because they are the intersection of the early upholstery colors and the later spring shape/back profile. 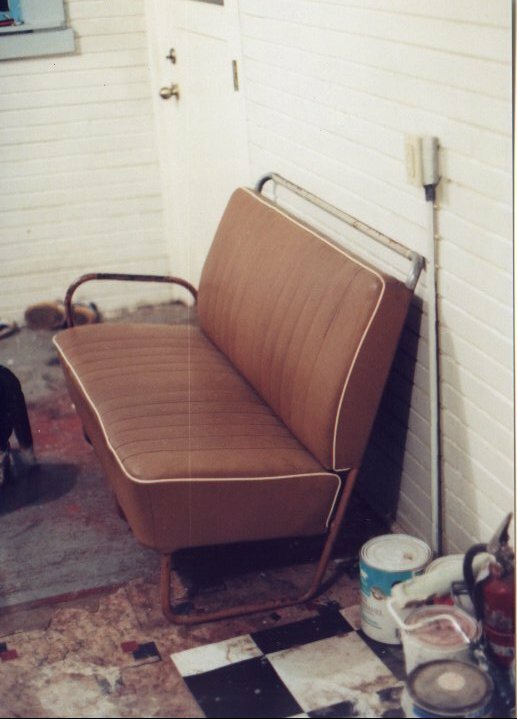 when you really get into it, in the post barndoor years there is no seat that is technically correct for more than three years of buses. 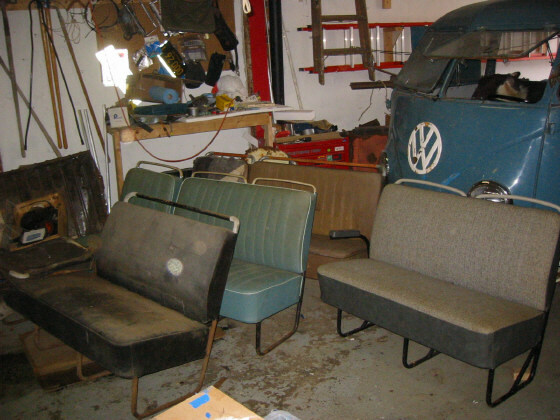 the frames may fit more years, but the frame/upholstery combos changed every couple years. 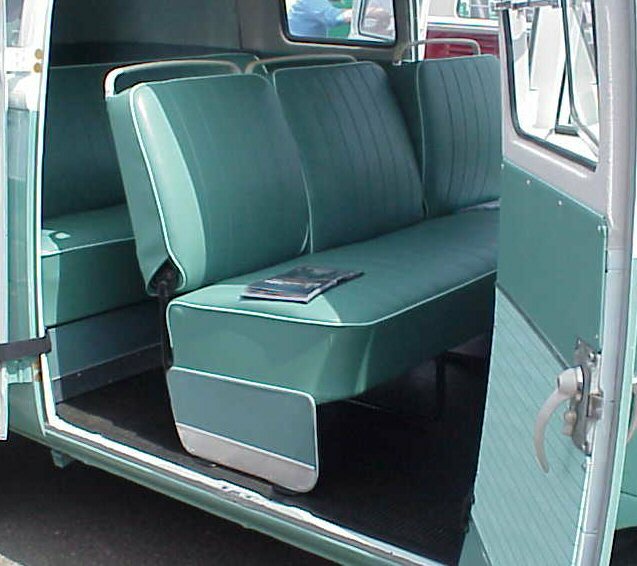 I had a very original june 24 '63 deluxe with pleated seats. GREYHOUND the easiest way to ship middle seats. under $100 most anywhere in the country. hey lind, what if the bus is a walkthrough AND a double door? 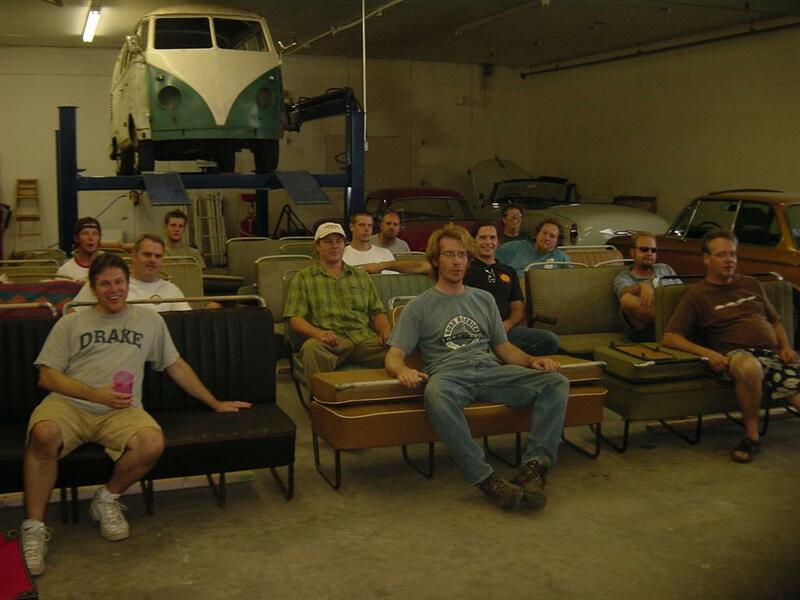 im guessing a 2/3 seat? with half of that a flipper? did this ever come out of the factory? there are very few walk through doubledoor buses. 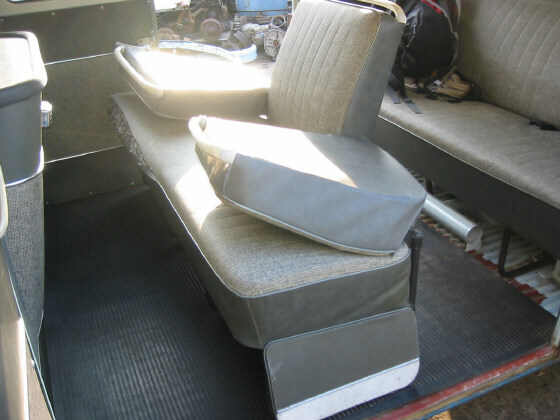 also remember that the middle seat is seperate from the walkthroughness of a bus. most pre '64 walk throughs had full seats. 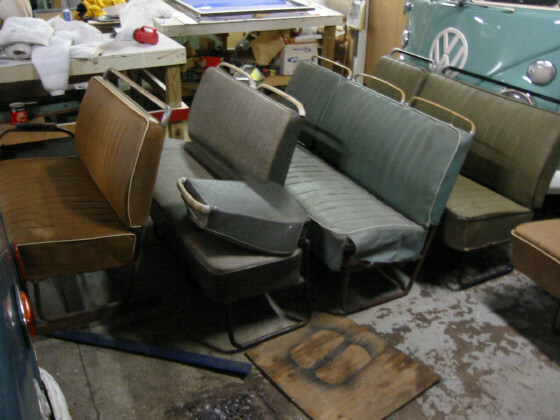 virtually all '64-'67 walk throughs had 2/3 seats. 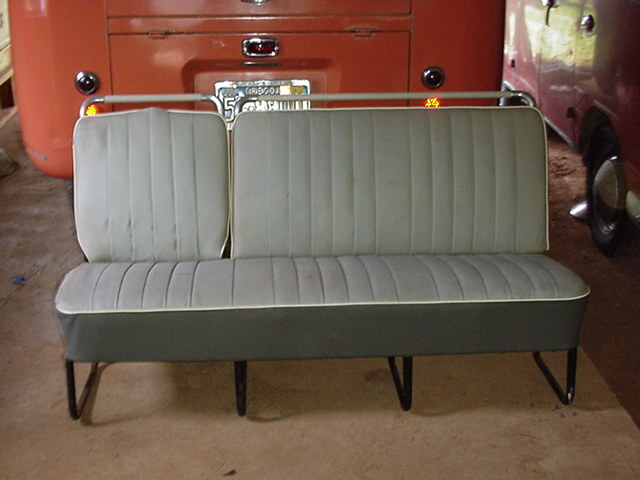 there is one seat that turned up out of a '67 doubledoor which is a 2/3 seat that the whole backrest fold forward. 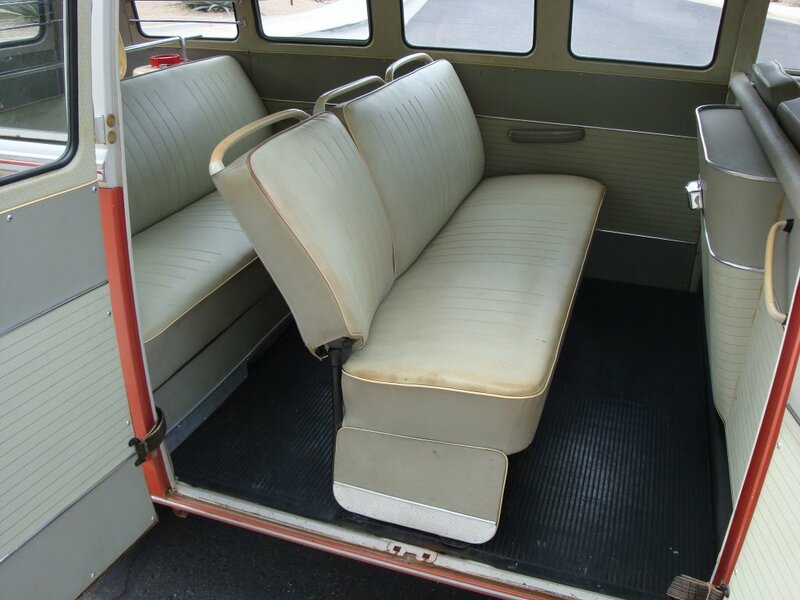 there is another '58 doubledoor walk through deluxe that appears to have had a centrally mounted 2/3 middle seat. 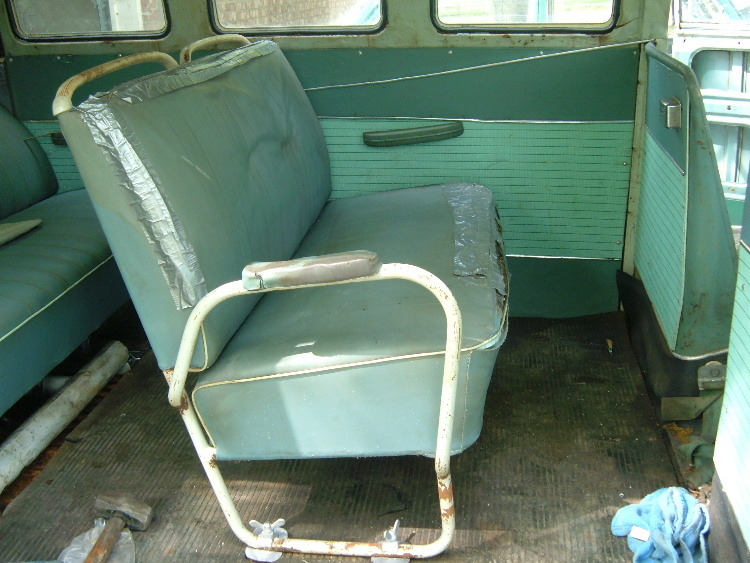 this was a factory special bus though. other than that all doubledoors that I know of had full seats. 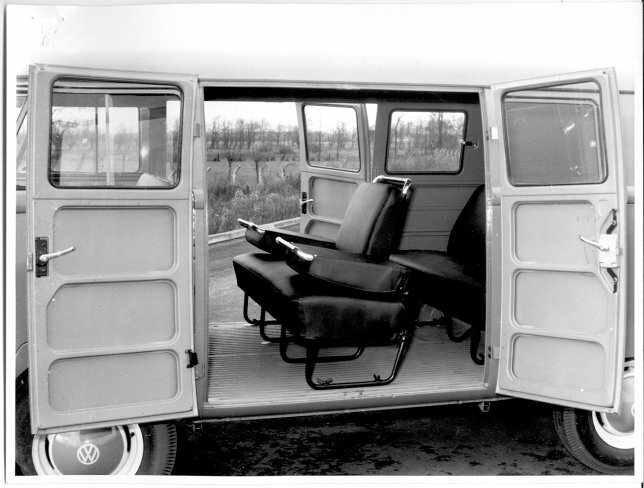 there is a promo photo of a '51 or '52 doubledoor with a single flipper seat. 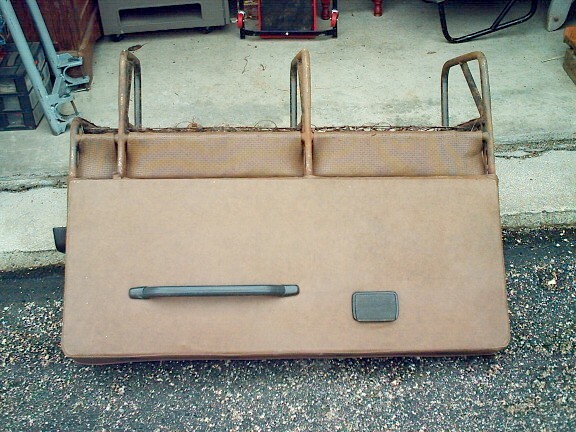 I'm looking for LHD Barndoor deluxe middle seat kick panel. 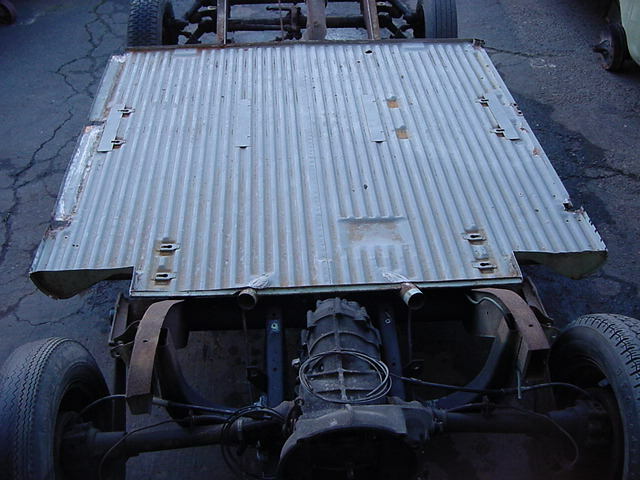 I have the chance of a RHD one, is the metal part the same shape so i can i use the metal part for a LHD panel? Should i be even thinking of doing this? 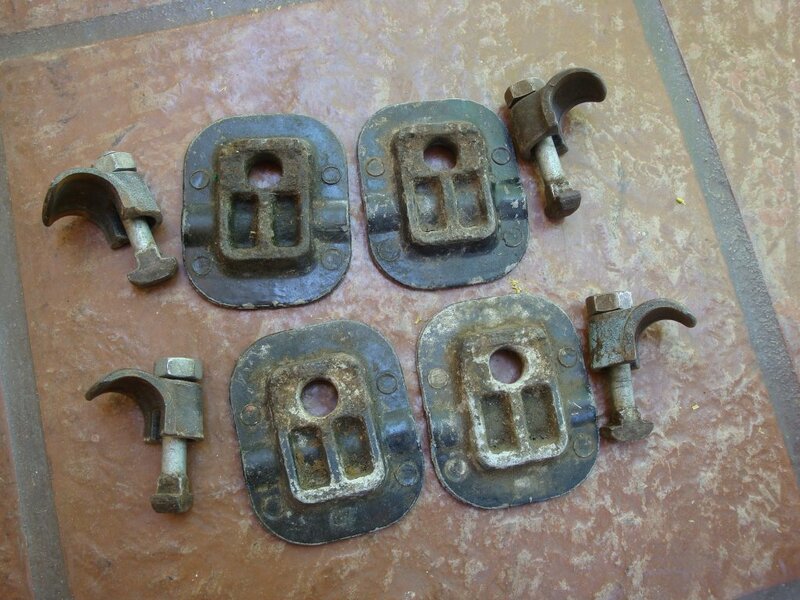 Another question,what about middle/rear seat hardwear,clamps, bolts, wing nuts and the differences through the years? 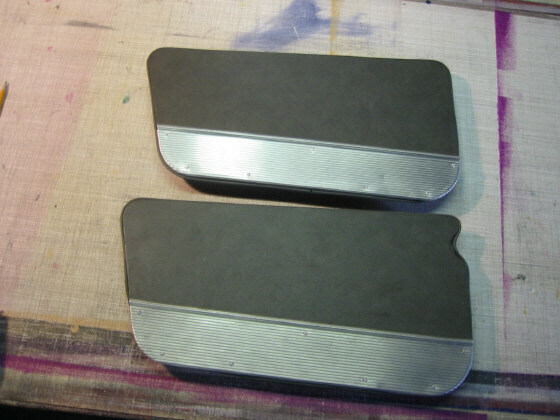 the shape of the metal is different between the two. they are a mirror image of each other. I will add some hardware info to my big list. Here is some info I received from the from the curator of the WCMSAS. 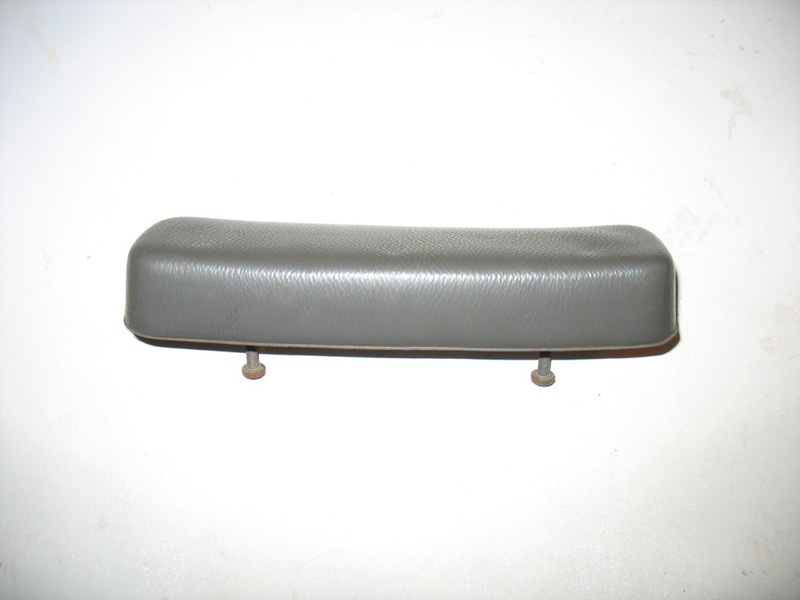 The '67 2/3 middle seat grab handle has a slight downward taper from the outer mounting points twards the middle mounting point, making it yet another '67 "one-year-only" item. my floor plates are my reason for saying it is a 2/3 seat. and you can not get the clamps on it to hold it down. 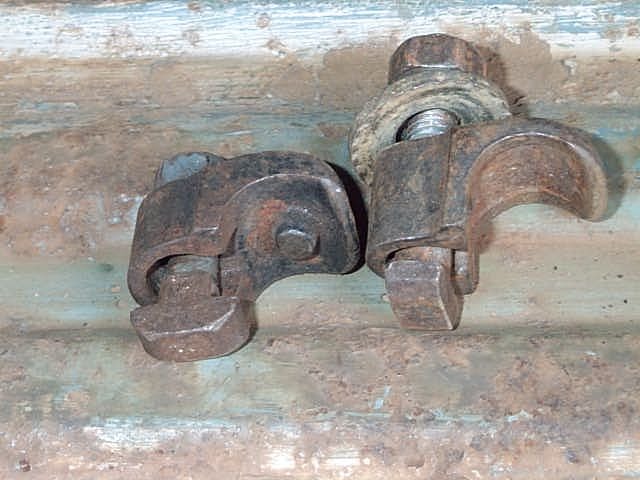 on pre '67 buses, onlt the two outer legs get clamps. the middle leg(s) don't get clamps. if your floor is original and not messed with and your floor plates are offset about a foor towards the center on the passenger sid, then you need a 2/3 seat. 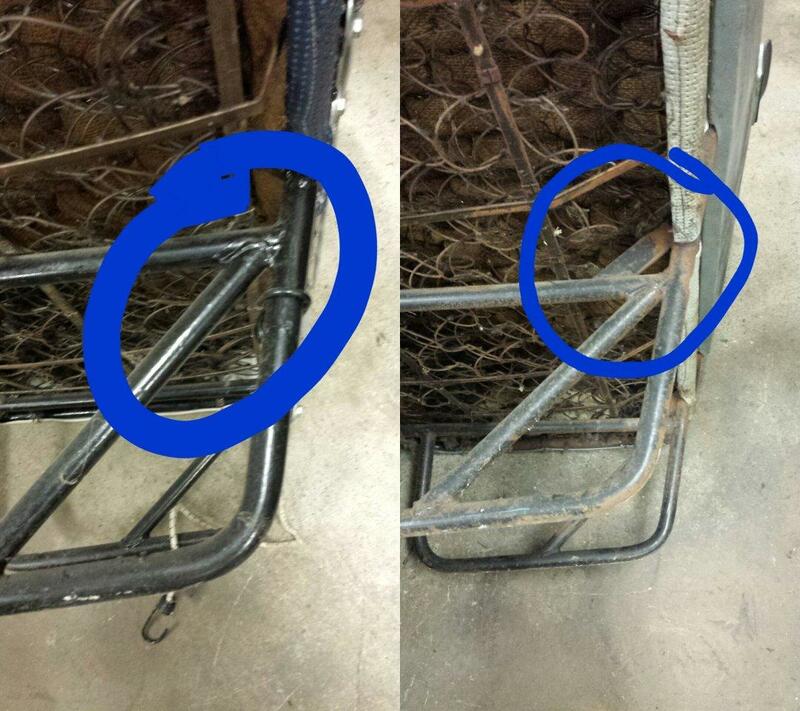 the seat frame for a 2/3 seat is the same from '56-'66, so it should be no problem finding a seat frame. 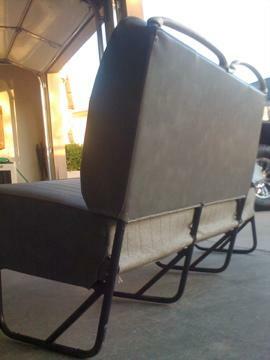 Going on this middle seat theme I have a friend with a 66 aero papirus middle seat with a greenish metalic grab handle. 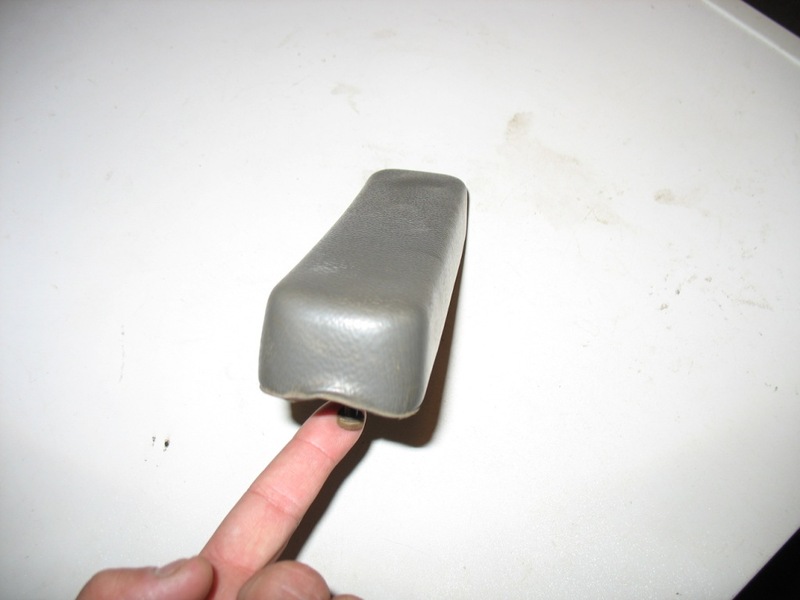 The rear grab handle is also this weird greenish metalic color wile the dash handle is cloud white. I have seen a few more of these over the years but VERY FEW. He was wanting to replace it with an off white one but I convinced him not to . 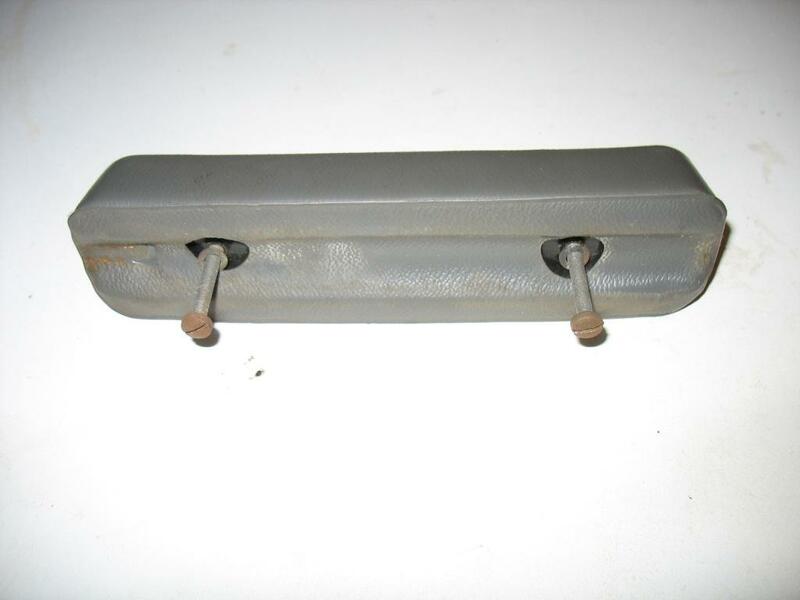 Did all 66 aero papirus interiors come with this weird grab handle or was this a short and ugly mistake on vw's part? I find no listing for a colored vinyl grab handle in any of the parts lists. Is there a name for this color? 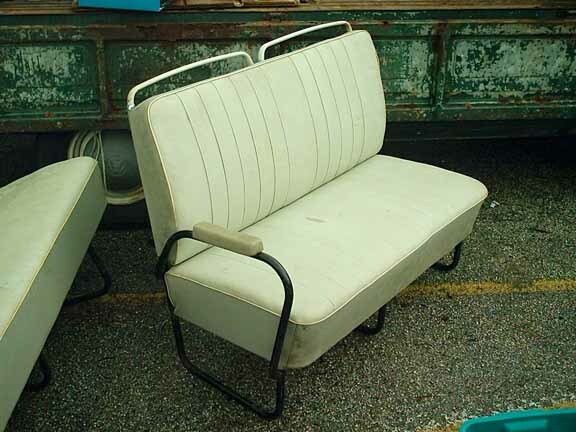 also I have noticed a few 59-60ish seats with a metal grab bar that was coverd in a ribed vinyl material similar to old westy table legs..where do these fit in to the middle seat sequence? 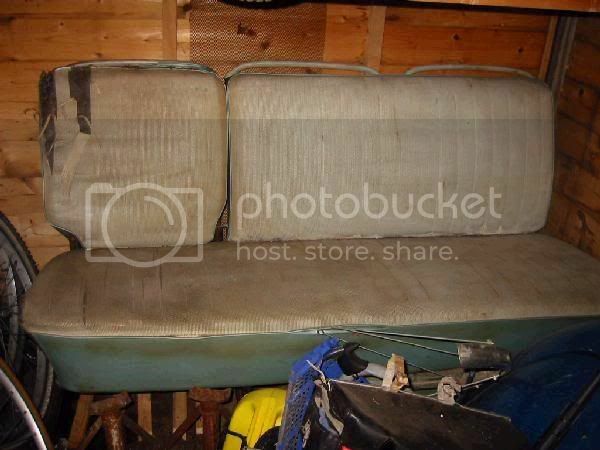 I got this seat with my late 62 23w. Can someone confirm its a '66 model as above? I actually got the full interior in this colour. Is it the aero/papryus as above? 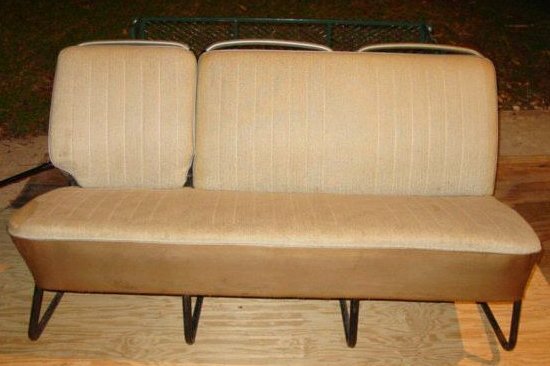 I have a Mint one,Original upholstery, 2 tone grey color,white piping, I believe from memory...I shoud remember.It's in the Bedroom next to the Bed!